As a children’s author, many things make me smile. Working in my fuzzy cat slippers, being able to do something I truly love every day, seeing kids connect with my books, hearing from parents that my books hooked their child into reading. Oh yes, and let’s not forget the big bucks we children’s writers make (yes, I’m joking about that one!). This morning, friend and writer Jean Ann Williams, sent me this photo of one of my books that has been in her family and passed down from child to child. 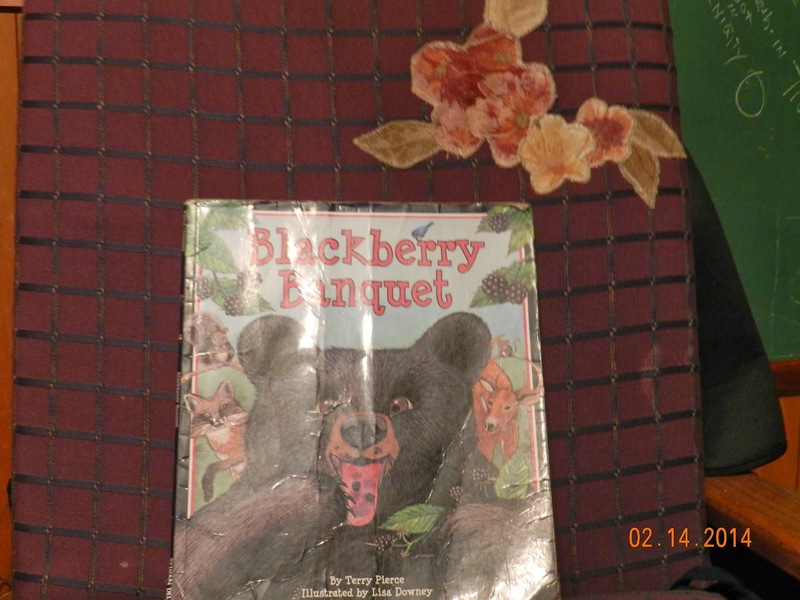 Seeing this love worn copy of Blackberry Banquet just makes me smile from ear to ear, and reminds me that of all things that make a children’s writer smile, seeing a well-loved copy of your book is truly at the top of the list!